During Black History Month, we've been looking back at the history of African-Canadians, but it's also just as important to look forward. We asked author and children's librarian Joanne Schwartz to create a list of picture books set in Canada featuring African-Canadian children characters and other children of colour so that young Canadian readers from all kinds of backgrounds can see the myriad ways in which books are a mirror of their lives and of the world. 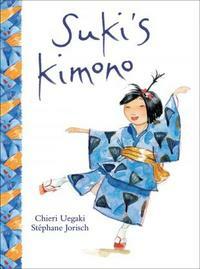 About the book: Suki's favorite possession is her blue cotton kimono. A gift from her obachan, it holds special memories of her grandmother's visit last summer. And Suki is going to wear it on her first day back to school—no matter what anyone says. When it's Suki's turn to share with her classmates what she did during the summer, she tells them about the street festival she attended with her obachan and the circle dance that they took part in. In fact, she gets so carried away reminiscing that she's soon humming the music and dancing away, much to the delight of her entire class! Filled with gentle enthusiasm and a touch of whimsy, Suki's Kimono is the joyful story of a little girl whose spirit leads her to march—and dance—to her own drumbeat. 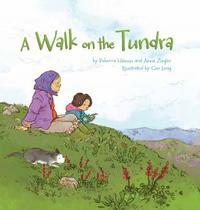 About the book: A Walk on the Tundra follows Inuujaq, a little girl who travels with her grandmother onto the tundra. There, Inuujaq learns that the tough little plants she finds are much more important to Inuit than she originally believed. In addition to an informative storyline that teaches the importance of Arctic plants, this book includes a field guide with photographs and scientific information about a wide array of plants found throughout the Arctic. 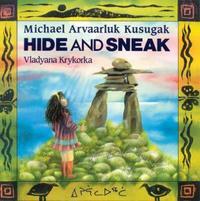 About the book: Allashua ignores the inuksugaq as she plays hide-and-seek. Soon she encouters an Ijiraq—a tiny half-bird, half-human creature who loves to play. Allashua remembers her mother telling her that if an Ijiraaq hides you, no one will ever find you again. Eventually Ijiraq disappears and Allashua gets lost on the tundra. With no idea of which way to go, she heads toward a small block dot on a far-off hill. When Allashua realizes the dot is the inuksugaq and that it can guide her safely home, she understands the riddle of its existence. 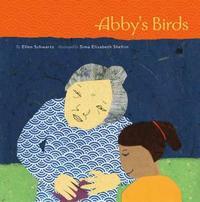 About the book: Abby makes an unlikely friend in her neighbourhood—her elderly Japanese neighbour, Mrs. Naka. All spring and summer, the two delight in the robins that live in the maple tree that straddles their yards, following the birds' progress as they nest and the babies hatch and learn to fly. Mrs. Naka teaches Abby how to make tori—origami birds. Later, when Mrs. Naka has an accident, will Abby be able to use her new skill to conjure up a surprise to comfort her ailing neighbour? About the book: Joe and Cody are young Cree brothers who follow the caribou all year long, tucked into their dog sled with Mama and Papa. To entice the wandering herds, Joe plays his accordion and Cody dances, whirling like a young caribou. They are so busy playing and dancing, they don't hear the rumble of the caribou. Bursting from the forest, ten thousand animals fill the meadow. Joe is engulfed; he can barely see Cody a few yards away. Their parents seem to have disappeared. And yet what should be a moment of terror turns into something mystical and magical, as the boys open their arms and their hearts to embrace the caribou spirit. About the book: Many people find winter a trial. But for people who come from countries that are warm all year around it can be simply unbearable. 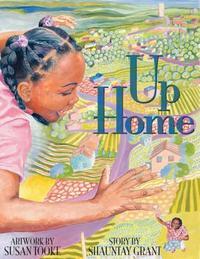 Ken and Rama have looked forward to their Nana's visit from Africa for months. But when she arrives, in the middle of winter, she covers herself in three blue top sheets, three red blankets and three pink comforters. Brrr, she says, It's too cold for living things. 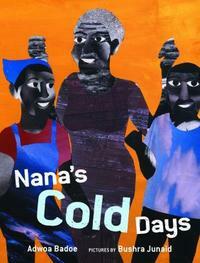 Nothing Ken nor Rama nor Mama nor Papa can dream up entices Nana from her cozy nest, until she comes down with croup. Then Nana herself quickly takes the situation in hand and solving her own and everyone else's problem.Bushra Junaid has used an innovative collage style to illustrate this warm family story which brings out the humor in the growing concern of this family faced with their recalcitrant grandmother. About the book: Maylin cooks delicious meals every day in her father's restaurant, but it's her lazy brothers who take all the credit. One day a contest is held to honour the visiting Governor of South China and Maylin's brothers don't hesitate to pass off her cooking as their own. But when neither the brothers nor the Governor himself can replicate Maylin's wonderful dish, they all learn that there's more to the art of good cooking than using the right ingredients. About the book: Gita’s family has recently emigrated from India, but she has already made friends in her new home. Today, she is looking forward to her favourite holiday—Divali, a festival of lights. 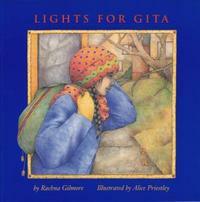 But Gita’s plans soon fall apart and she becomes homesick. About the book: Rubina has been invited to her first birthday party, and her mother, Ami, insists that she bring her little sister along. Rubina is mortified, but she can't convince Ami that you just don't bring your younger sister to your friend's party. 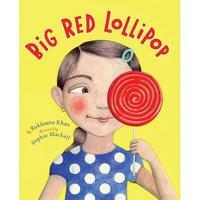 So both girls go, and not only does Sana demand to win every game, but after the party she steals Rubina's prized party favor, a red lollipop. What's a fed-up big sister to do? 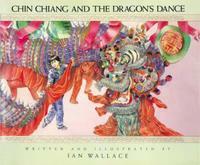 About the book: From the time Chin Chiang stood only as high as his grandfather's knees, he dreamed of dancing the dragon's dance. Now the first day of the Year of the Dragon has arrived, and Chin Chiang is so scared that he wants to melt into his shoes. 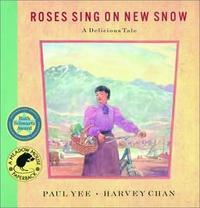 Chin Chiang is a most appealing small boy, whose plight will touch readers young and old. Joanne Schwartz is a children's librarian with the Toronto Public Library and a children's writer. 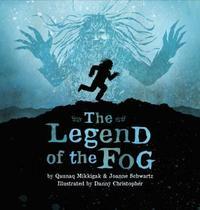 Her latest book is The Legend of the Fog, a traditional Inuit tale she collaborated on with Inuit elder, Qaunaq Mikkigak. Check out Joanne's 49th Shelf interview about The Legend of the Fog.